Swarvoski Turquoise colour crystals are surrounded with tiny sterling silver plated beads on subtle leather. 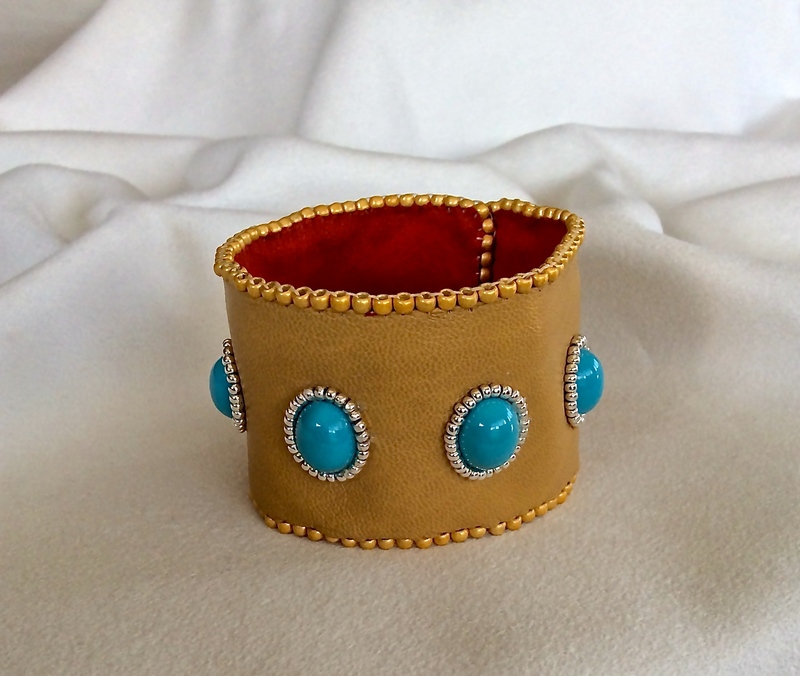 I have lined the cuff with a pop of colour and used two snaps for closures. It measures 7 1/4″, closed on your wrist.